This story appeared in the June 7th edition of News Leads, the week’s top ag stories sent out by the VFB Communications Department to media across the state. The director of Virginia Cooperative Extension said that agency is steadily rebuilding its presence in county offices across Virginia after staffing cuts in recent years. “I think we’re on the rebound, and good things are starting to happen,” Dr. Edwin Jones, an associate dean at Virginia Tech’s College of Agriculture and Life Sciences, told the Virginia Farm Bureau Federation board of directors at their May 24 meeting. 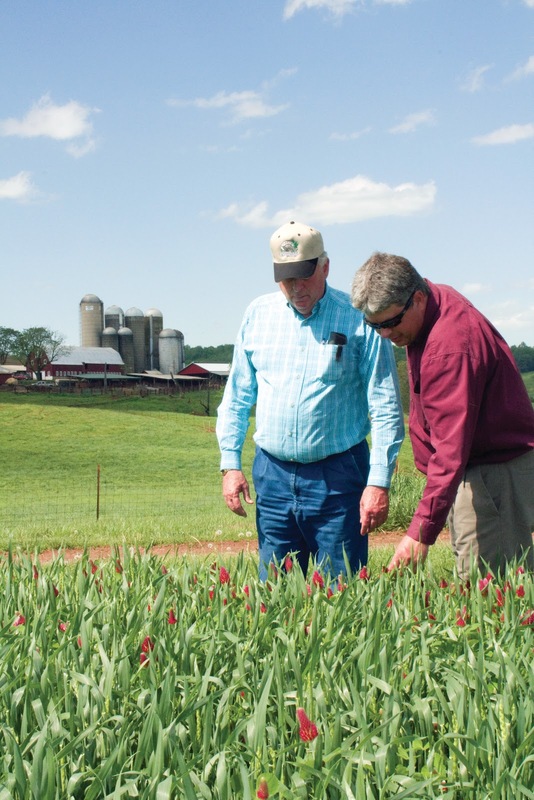 Farm Bureau has for some time maintained that localities in Virginia need at minimum one agriculture Extension agent, one 4-H agent and one administrative employee. The 2012 Virginia General Assembly appropriated an additional $500,000 for Extension funding for each of the fiscal years in the biennium, for a total of $1 million. Last July, Extension had 179 agents statewide. Jones said 68 agents have been hired since January, though not all are filling new positions. “We’ll be filling about another 10 with recent appropriations from the General Assembly,” he said. Current staffing is nearly 220 agents—at least 90 agricultural and natural resources agents and at least 90 4-H agents. The others are family and consumer sciences agents. Through its local offices and specialized agents, Extension brings the resources of Virginia’s land-grant universities—Virginia Tech and Virginia State University—to consumers and farmers alike. Extension staff deliver programs through a network of 106 local, county and city offices, six 4-H educational centers and 12 Agricultural Research and Extension Centers. In some counties, Jones noted, more than one ANR agent is needed, and when working with youth programs, “it’s really hard (for one agent) to do 4-H on a multi-county basis.” The FCS agents tend to serve four or five counties each, working with programs related to nutrition, parenting and family finances, among other topics.